Who knew trade wars could be so interesting? 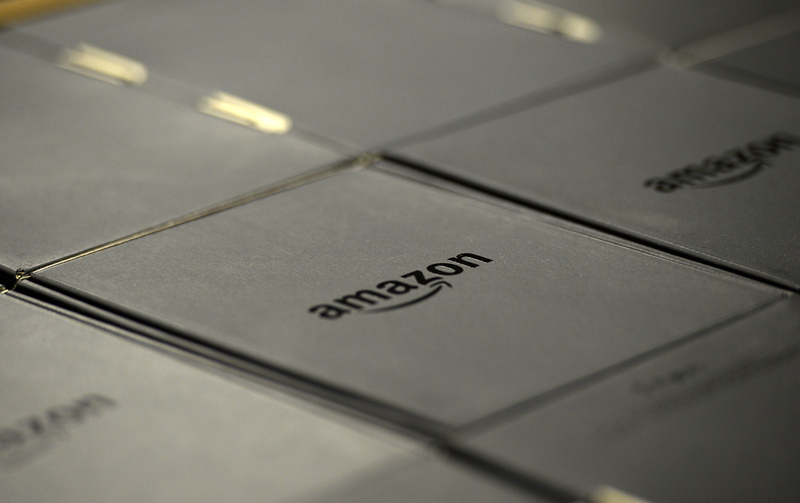 As the feud between Amazon and Hachette continues, things are starting to get a little bizarre — because why not? After more than 900 authors signed onto an open letter criticizing Amazon that was published in the New York Times last week, Amazon drew up a letter of their own criticizing Hachette. The letter, which was sent to all authors of Amazon's Kindle Direct Publishing and published online, launches something called "Readers United" and draws a comparison between ebooks and the advent of cheap paperback books in the early 20th century. At the time, they point out, publishers resisted the cheap paperbacks as devaluing book culture (and their own bottom line), just as large publishing houses are doing today. This perceived slur on the memory of one of the 20th century’s most revered truth-tellers might prove to be one of Amazon’s biggest public relations blunders since it deleted copies of 1984 from readers’ Kindles in 2009. Though Orwell did say this, the full quote reads, "The Penguin [cheap paperbacks] are splendid value for sixpence, so splendid that if the other publishers had any sense they would combine against them and suppress them.” In other words, he was making a joke. And then in the same essay, Orwell then went on to argue against the very idea that Amazon is touting in their letter, that cheaper books means people buy more books and ultimately spend more money on books that they would have originally. According to Orwell, this was nonsense. People might buy more books, but instead of spending more money, he said, they'd take the cash they saved and go to the movies. Between Amazon twisting Orwell's words and the aforementioned 1984 debacle, this begs the question: When Big Brother arrives, will it come with two day shipping? But in all seriousness, Amazon's letter, which ends by asking readers to email Hachette's CEO Michael Pietsch, is just further evidence that public opinion has become a big part of this feud. Which is rather odd, given that at its heart this "feud" is — or at least started as — your average trade negotiation. Companies negotiate treaties all the time, and public opinion rarely factors into it. But once Amazon started removing pre-order buttons and delaying shipment on Hachette books, public opinion has been inescapable, and neither company has come away looking like a saint. Hachette, after all, did illegally collude with Apple and their fellow publishers to undercut Amazon not long ago, and there is a lot of truth in Amazon's arguments that publishers are set in their ways and that the royalties they pay are rather low. But at the same time, it was Amazon who started hurting readers and authors as a negotiating tactic, and some of their demands seem fairly shady. But even as people continue to take sides, whether by sending emails or changing their buying habits, this isn't really the sort of thing that ought to be decided by public opinion. The public aren't qualified to pass judgement on trade talks. Though both Amazon and Hachette both presumably want to use public support as a bargaining tactic, ultimately this is something they just need to hash out themselves, preferably soon. After all, the longer this drags on, the worse both start to look.